Mark Brodie is a co-host of The Show, KJZZ’s locally produced news magazine. 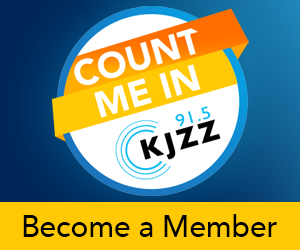 Since starting at KJZZ in 2002, Brodie has been a host, reporter and producer, including several years covering the Arizona Legislature, based at the Arizona Capitol. He was also the local host of Weekend Edition Saturday for more than a decade. Before deciding to ditch his snow shovel for good, Brodie worked at public radio stations in Albany, New York, and Syracuse, New York. He’s an alum of Syracuse University, where he majored in broadcast journalism and political science. He’s originally from Manchester, Connecticut, and still harbors dreams of the Hartford Whalers coming back.